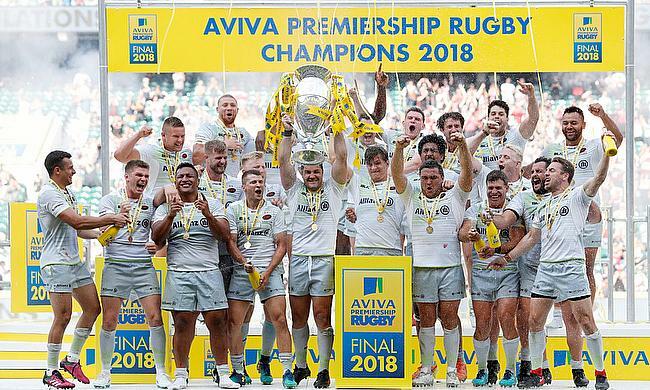 It would be harsh to say the Premiership final never lived up to its billing, we were still treated to test match intensity, thunderous collisions and well worked tries but the truth is Exeter never really looked as if they pose a serious threat to Saracens. We could easily forget that this is a Saracens side who suffered seven consecutive defeats over the winter. This is a side with several Lions limping their way to the end of the season, called out by pundits for their apparent fatigue who, along with some players set to make their final appearances before retirement, were preparing their bruised frames for one last battle. The sight of Billy Vunipola playing despite short of match fitness supported this theory, but under the Twickenham sun his brother Mako, Maro Itoje, Owen Farrell and Jamie George brought a level of intensity that poured scorn on their doubters. Mako Vunipola in particular has been outstanding; his all-round performances have put him up there as one of the best props in the world. Exeter consistently lost their width as they fended off tireless carries from Vunipola that ultimately created space for Goode and Wyles to exploit. He did this while maintaining an upper hand, if not dominance, in the scrum and a huge defensive shift that included several bone crunching hits. In Saracens dominance it is easy to forget that the first half opened with almost 10 minutes of Exeter possession as wave after wave of Chiefs crashed into the Sarries wall. This onslaught would sap the energy of many sides to be exploited in the latter stages of the game but the London side remained disciplined and even comfortable. Coaches will say it gets easier for a defence the more phases that an attacker goes through but Exeter go against the grain. After an initial burst of 4 – 5 phases most teams will put to ball as the attack stalls, Chiefs style is to retain possession even if they lose ground. As the phases mount up they are looking for mix matches, dog legs, tired and ill-disciplined defenders to exploit. Saracens though remained firm, with an athletic pack there were few mix matches, there were no dog legs, they apparently did not tire and discipline is a hall mark of Saracens game. Exeter will need to find a plan B if they are to continue to challenge for silverware. Saracens though have plans A – Z, this is a side that continues to find a new edge. Against Wasps they were brutal and direct, swatting aside the Coventry based contenders to reveal a soft underbelly that was ruthlessly exploited. In the final they were patient, squeezing the life from Exeter in attack and defence through their big men. When they looked to change the point of attack rather than looking to Owen Farrell to loop around into the wide channels the outstanding Alex Goode was the one to give Saracens width. Had Exeter kept their width Saracens had the option of using Alex Lozowski, the stand-off has developed in the 13 shirt giving his side an extra dimension in attack. It’s possible that Saracens are borrowing a move from Exeter’s play book in moving a talented standoff and a second distributor to 13. The result is Saracens have decision makers across the field giving them a rare ability to adapt to the situation. All this from a side that just a few years ago was criticised by pundits for their “negative” kick chase style of play. They are known more for their 'wolf pack' defence, a defence that has been the backbone of Saracens resurgence in European rugby but now they boast a fluid and clinical attack that rivals any team, from any hemisphere. The transformation of Saracens style of play, their ability to keep reinventing themselves and evolving to keep up with brutal pace of professional rugby is the true mark of a Champion.